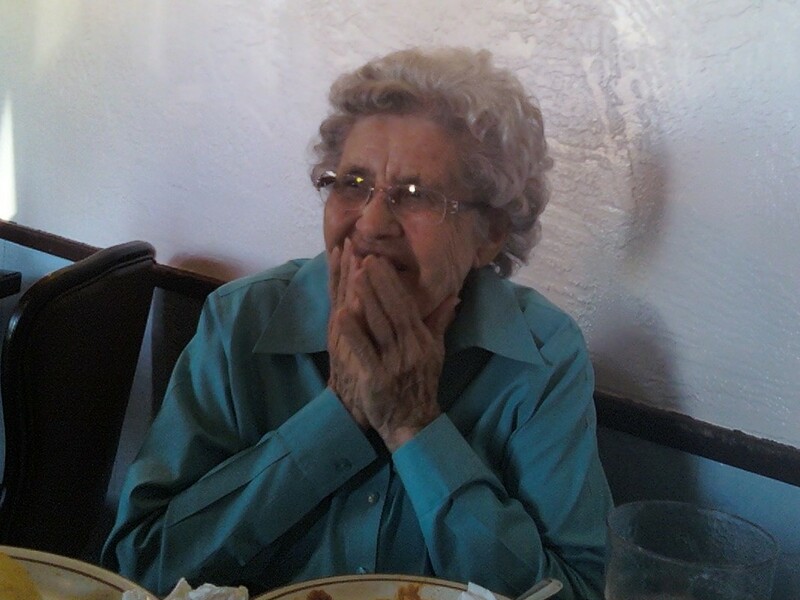 My grandma is going to be 90 this summer. She's always been healthy as a horse. My grandpa, that was a whole 'nother story. He had everything wrong with him, and maybe the fact that my grandma had to do everything and take care of everyone is what kept her strong and healthy. She still lives alone and takes care of herself. Until Tuesday evening, when she went outside to do something. She fell and cut up her head, and she broke her hip and pelvis several times. It was freezing out, and just after dark. What did she do? She crawled. She could only use one leg. And did I mention she's about to turn 90? That's right. For a 90-year-old to crawl any distance at all would be hard. To do it with multiple bone breaks, the use of only one leg and a head wound, well, I can't even imagine. But she's a tough cookie, and after some time out in the cold night, she made it into her house and called for help. She's doing surprisingly well. She's alert and already had surgery and is doing physical therapy. She's in good spirits. Of course, we don't know what this means for her future or if she'll be able to recover enough to go home and live alone again. But I thank God that she had the strength to get inside. She would have likely frozen to death out there. OMG...my heart hurt when i read about her painful situation...now i'm glad that she is recovering. Oh, man! Glad to hear she is doing okay now!